The outboard "triggers" on the Cyberian II Side Release buckle enable glove use of buckle during cold weather activities. 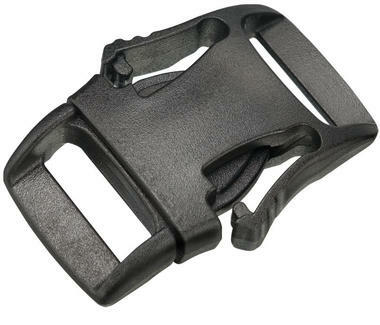 The "Snow Plow" debris clearing tip and anti-pinch enhance buckle performance. The loop allows for either fixed web ends for no adjustment or pass-through for free floating pulley action.